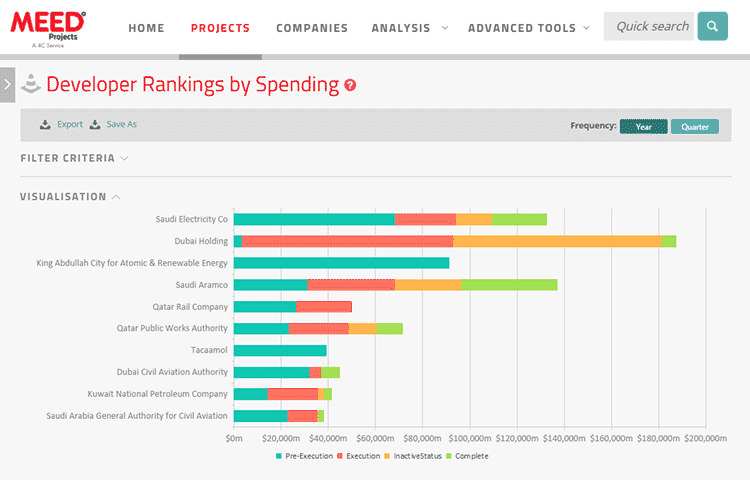 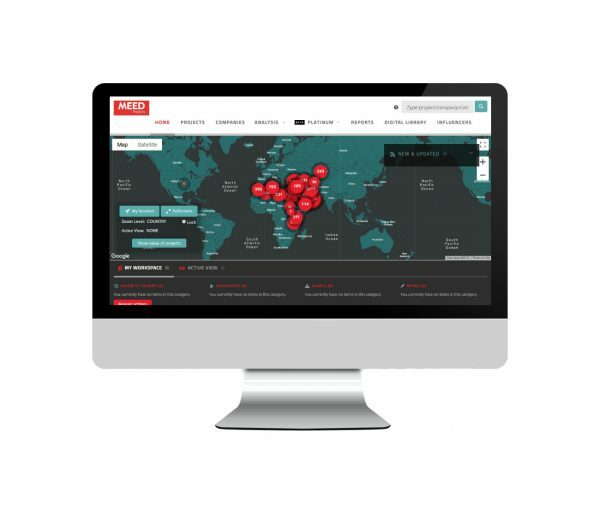 MEED Projects is a premium subscription-only online service providing the most in-depth project tracking platform in the region. 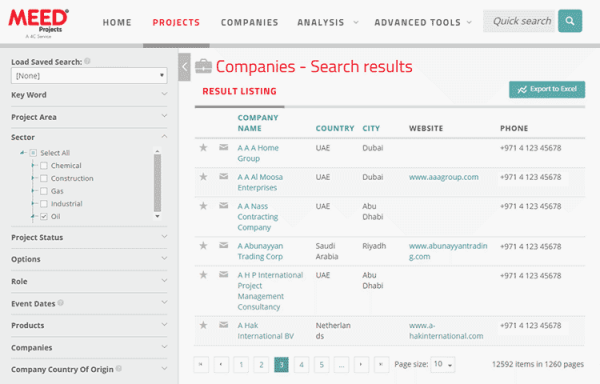 MEED Projects database was launched in 2001 and has been a powerful resource for executives in many industries across the region. 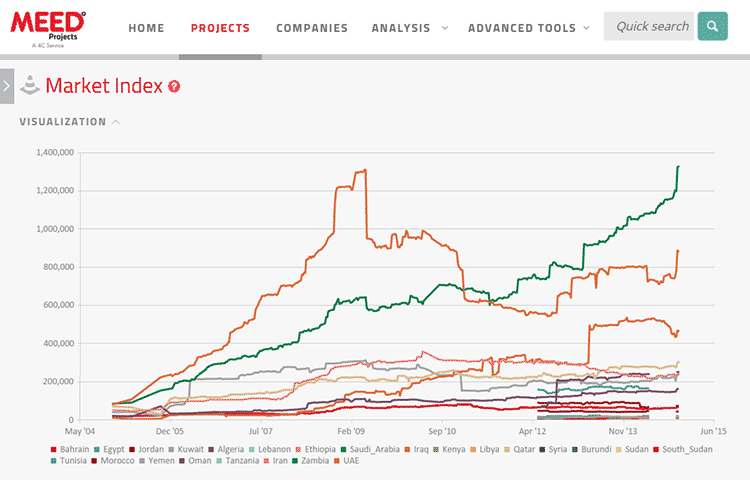 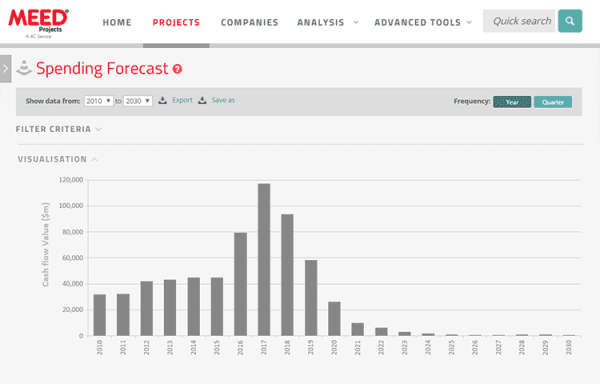 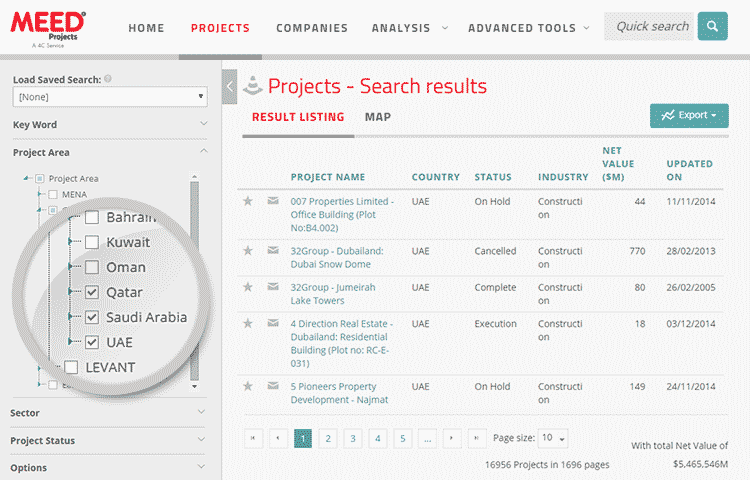 MEED Projects helps us to identify business prospects in the region and analyse market trends. Their research team does a great job to keep us abreast with reliable information on movements in the projects from inception to its completion. 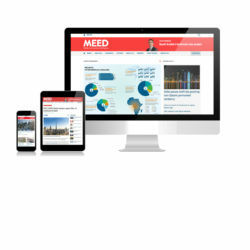 MEED Projects allows our sales team across the region to track upcoming projects quickly and efficiently, saving time and helping us to effectively target potential customers. 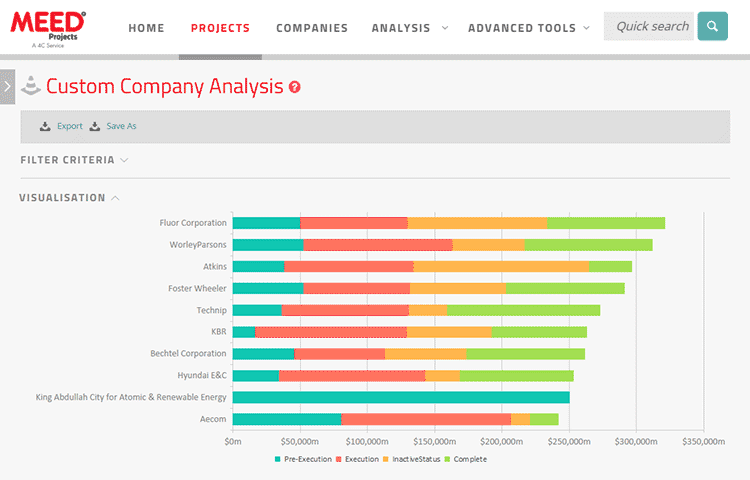 It has certainly played a role in developing our market knowledge and it’s continuing to support rapid growth in the Aconex business. 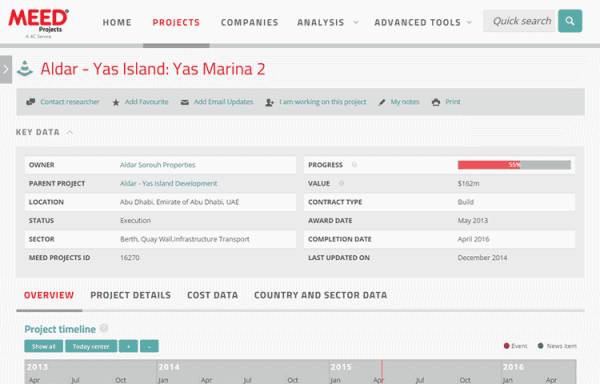 MEED Projects is an important tool for our business planning. 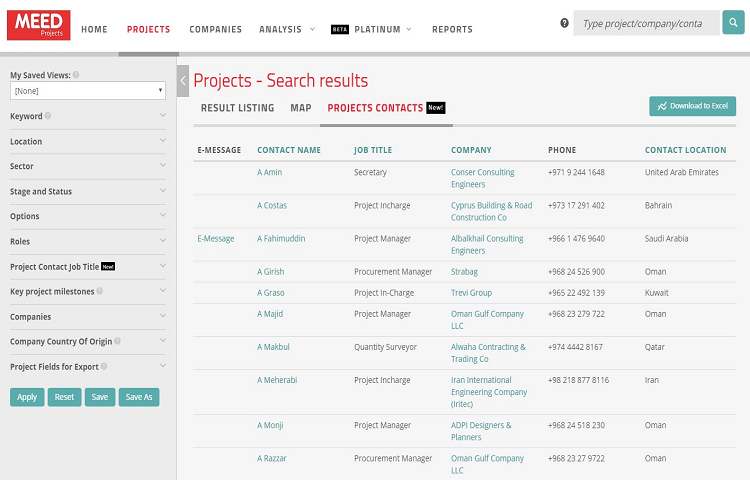 It helps us identify key projects and personnel at an early stage. 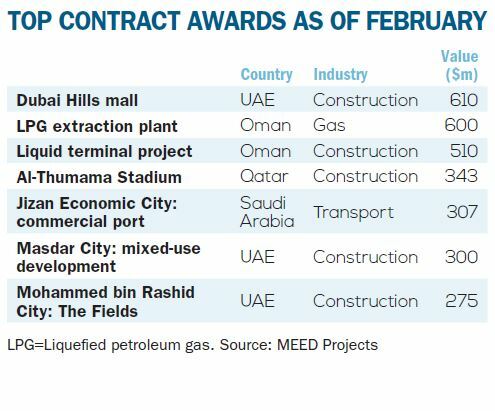 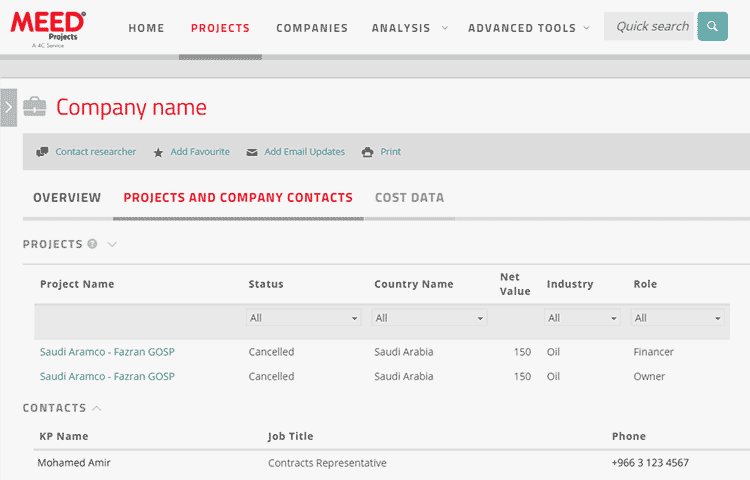 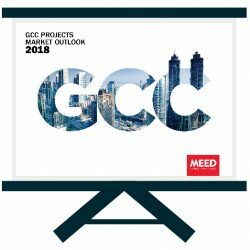 MEED Projects is an excellent tool for Ducab as it helps our sales department access updates on the latest GCC projects market in great detail. 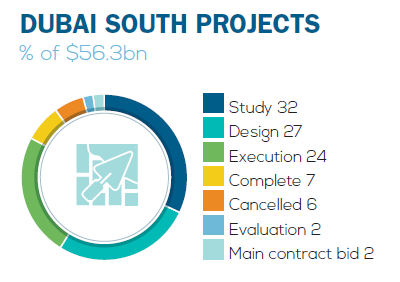 Their research team does a great job in keeping Ducab abreast with reliable information on movements in the projects from inception to completion.